The top court had ruled on March 20 that the police should hold an inquiry to ascertain the veracity of any complaint filed under the Act before acting on it. 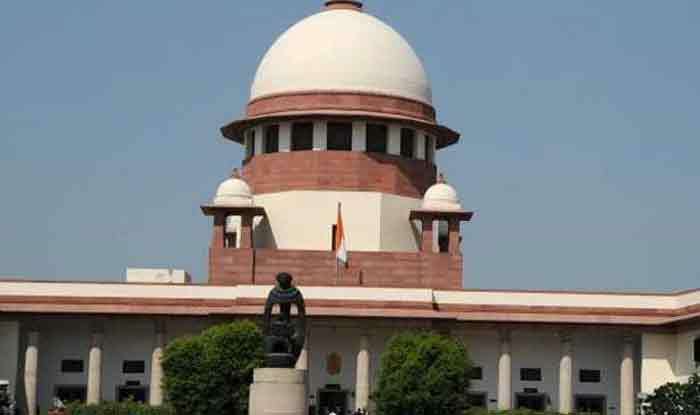 New Delhi: The Supreme Court on Thursday refused to stay SC/ST (Prevention of Atrocities) Amendment Act, 2018 that rule out any provision for anticipatory bail for a person accused of atrocities against SC/STs. A bench headed by Justice AK Sikri said that the petitions against the amendment and review pleas against the March 20 judgement should be heard together. Earlier on August 9, the parliament had passed a bill to overturn the apex court order concerning certain safeguards against arrest under the Scheduled Caste and Scheduled Tribe law. The Scheduled Castes and the Scheduled Tribes (Prevention of Atrocities) Amendment Bill was passed by the Rajya Sabha. It had got the nod of the Lok Sabha on August 6. The top court had ruled on March 20 that the police should hold an inquiry to ascertain the veracity of any complaint filed under the Act before acting on it. The court had said that it was providing for the safeguard “in view of acknowledged abuse of law of arrest” under the Act.